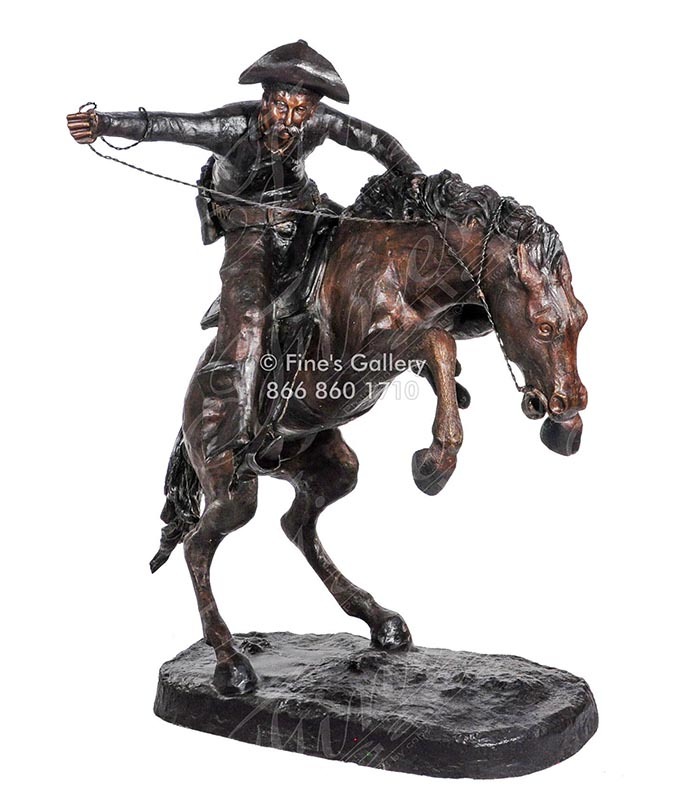 Bronco Buster is a highly detailed bronze sculpture. Inspired by Remingtons original artwork. This bronze statue depicts a girl who receives her first pony from her family. Along came great responsibility, such as the girl had never known, but great love also came as trust developed between the both of them. This piece is made of bronze patina. Bronze Horse and Rider Statue, depicting a Middle Eastern rider upon a horse. 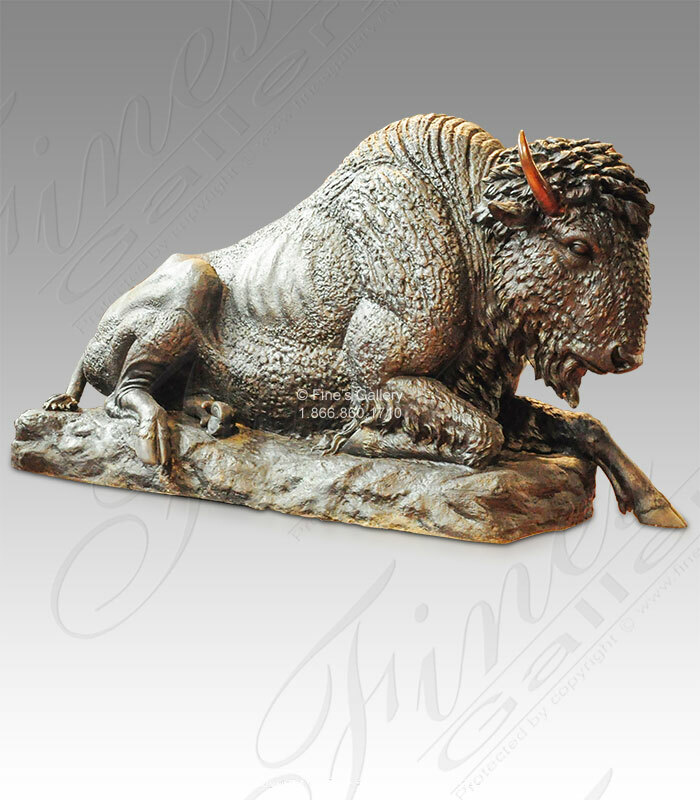 This piece is made from bronze with a patina finish to enhance the depth and realism of the statue. Contact us today for additional information. 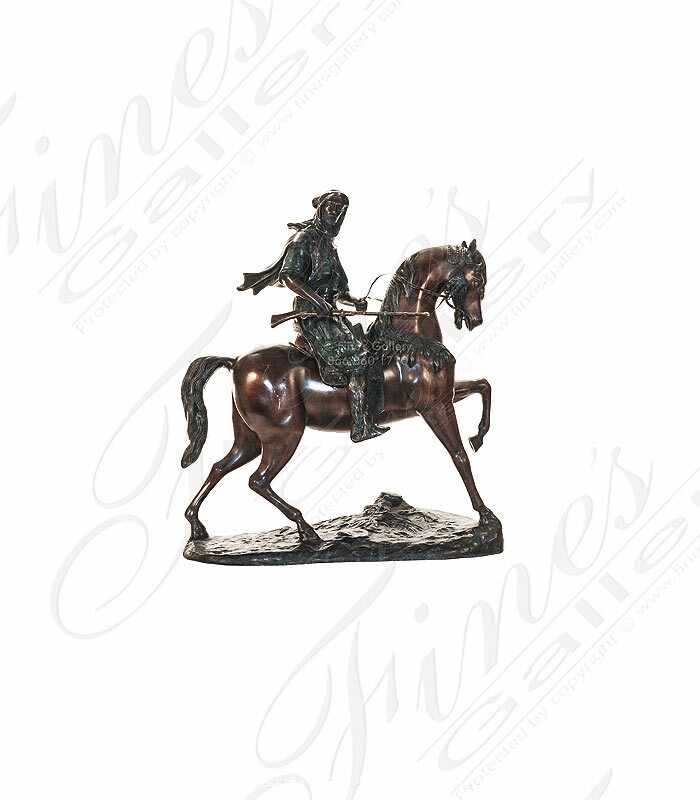 This stunning bronzesculpture depicts an American hero from the Old West. 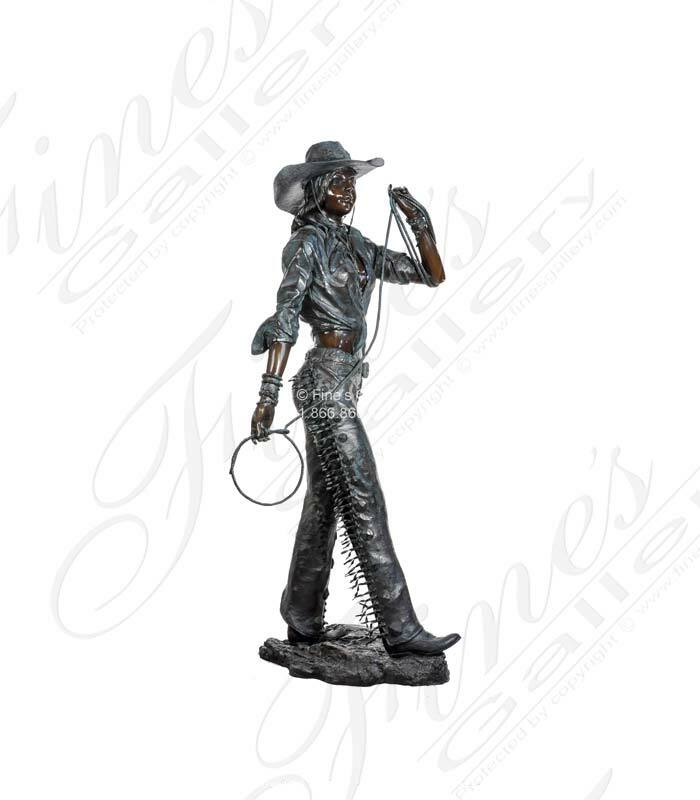 The Cowboy is expertly hand carved to reveal him in full costume, including ready lasso and classic hat. Add this incredible piece of American art to your collection. 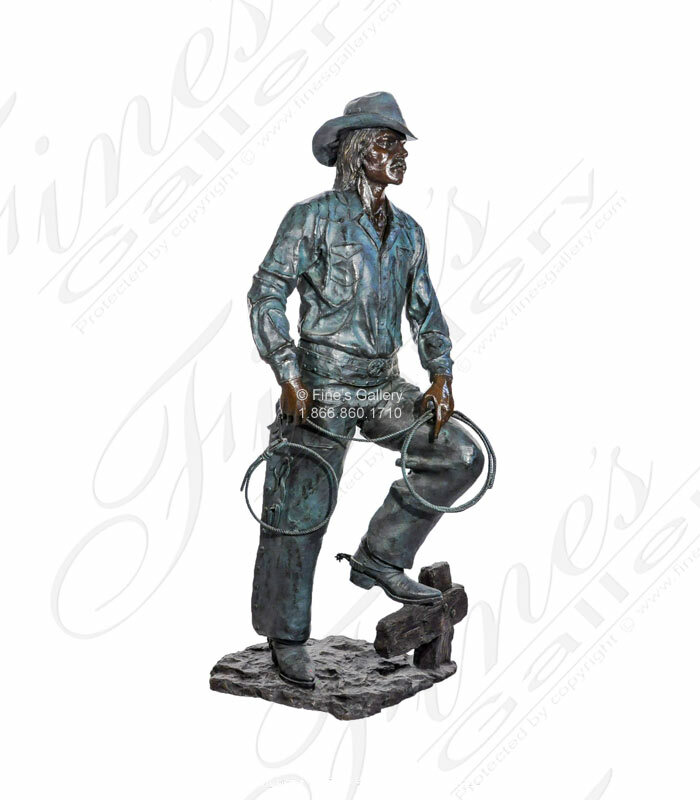 This Cowboy and Cowgirl pair is a Western themed statue set featuring a highly detailed male and female holding lassos. 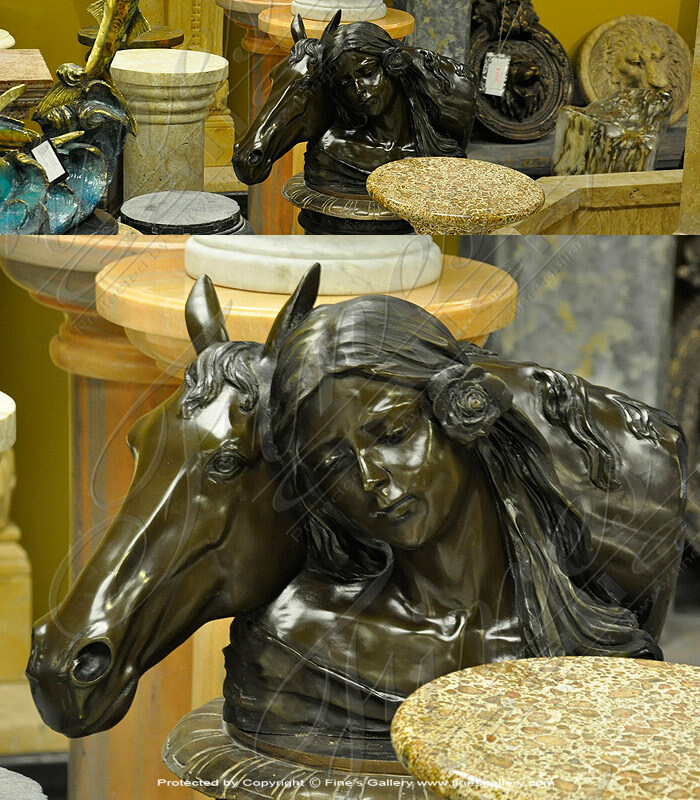 Sculpted from two tones of bronze with amazing realism, these will make a perfect addition to your existing decor. Sold per Pair. This adorable little bronze statue will brighten your day every time you see it in your garden! 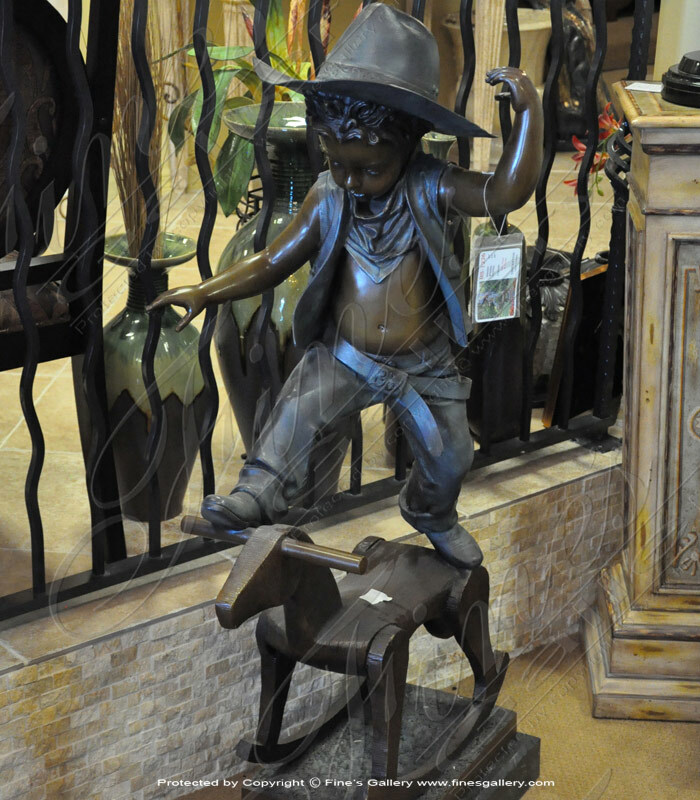 A beautiful little boy dressed as a cowboy is portrayed in a stunning artistic creation in bronze. Balancing upon his wooden rocking horse, a brave character! 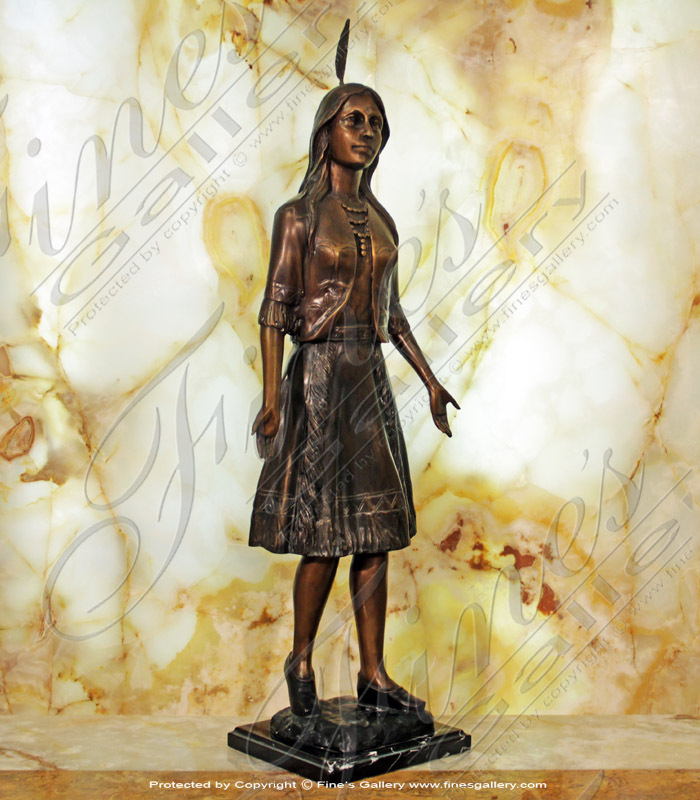 This bronze statue features a highly detailed artistic depiction of pocahontas standing near a beautiful vine. You will enjoy this artistic beauty for years to come. Cast in bronze for lasting beauty. Contact us today for additional information.